Are you a thrill seeker? looking for a family day out? Wanting to hang out with friends? Then the Boston May Fair is the place to be! 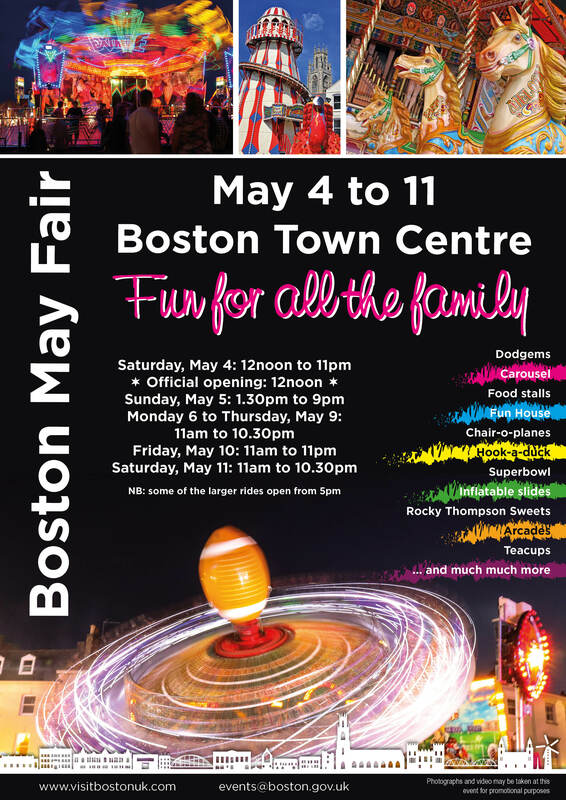 Boston’s May Fair has a wide selection of rides for different people from ranging tea-cups to giant arms! And if you don’t care much for rides, you can enjoy the huge variety of food on offer; you can get a Yorkshire pudding wraps, pork and apple burgers, hot dogs, candyfloss, 1m long sweet cables and more!